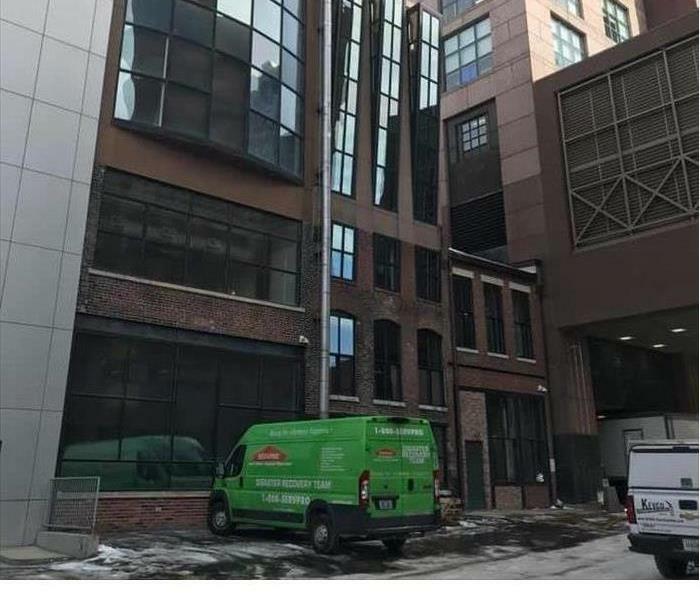 SERVPRO has the equipment and manpower available to handle any size job. Our crews are available 24/7/365 to start working right away in the event disaster strikes at your business. 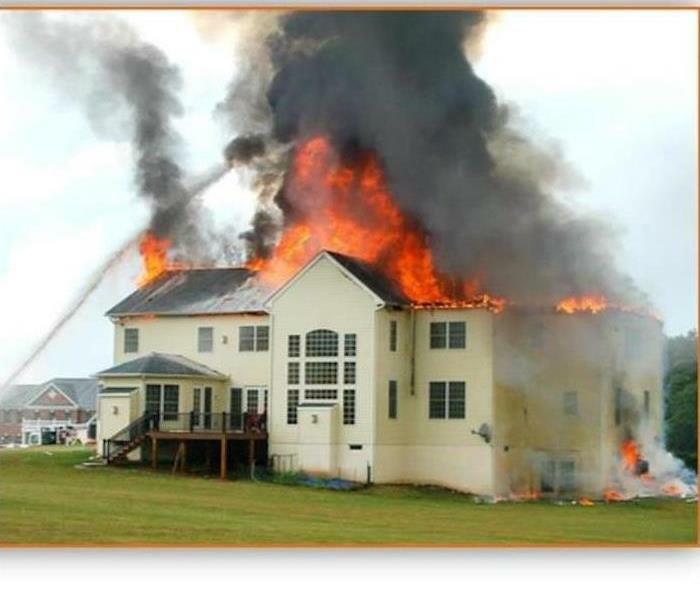 When a fire occurs at your home it can seem too daunting of a task to handle. We are here to help make it "Like it never even happened." Our crews work diligently to save as many of your precious contents as possible. Floodwaters obviously pose a threat to homes and other buildings due to the swift force in which they move. 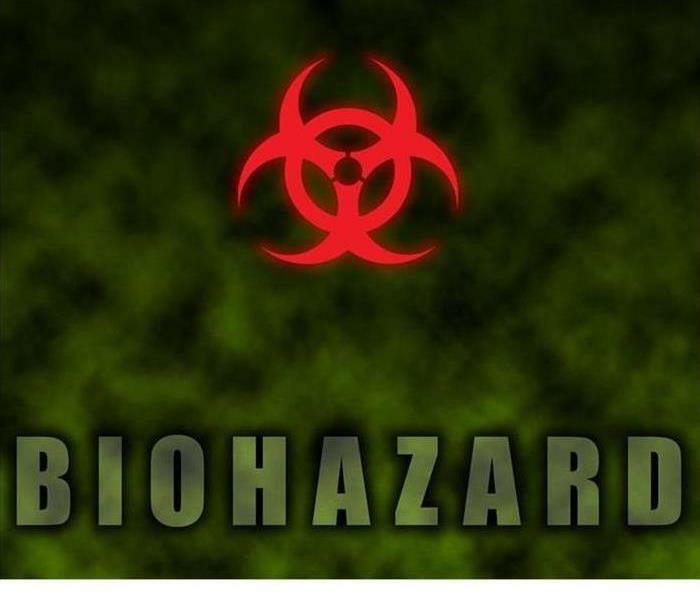 It also brings with it bacteria, debris and mud. 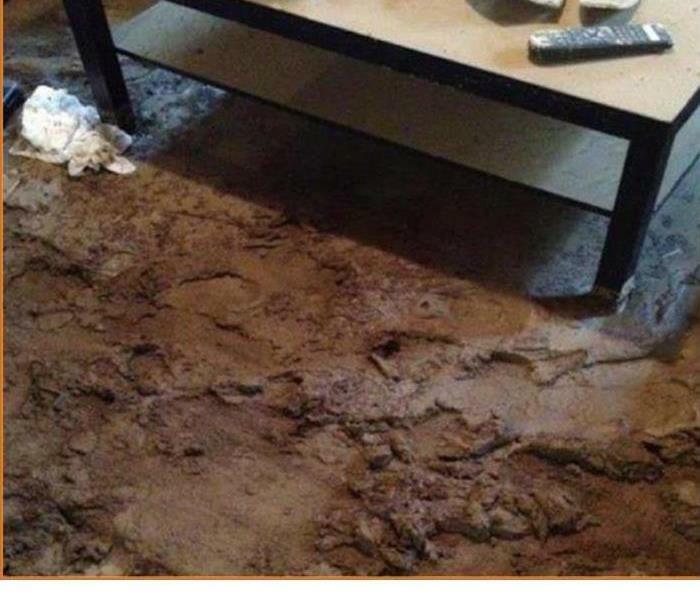 You can see in photo the large amounts of mud that were left behind after flooding entered this basement. Rising floodwater are a major concern in any severe storm. These floodwaters contain not only dirt and debris but harmful bacteria as well. You can see in photo the that after water had subsided it left behind mud and contamination. Severe storms can produce Strong winds and heavy rains. A falling tree damaged the roof of this home causing it leak gallons of water into the attack of this home. Causing the ceiling to collapse. In a severe storm floodwater can inflict significant damage. 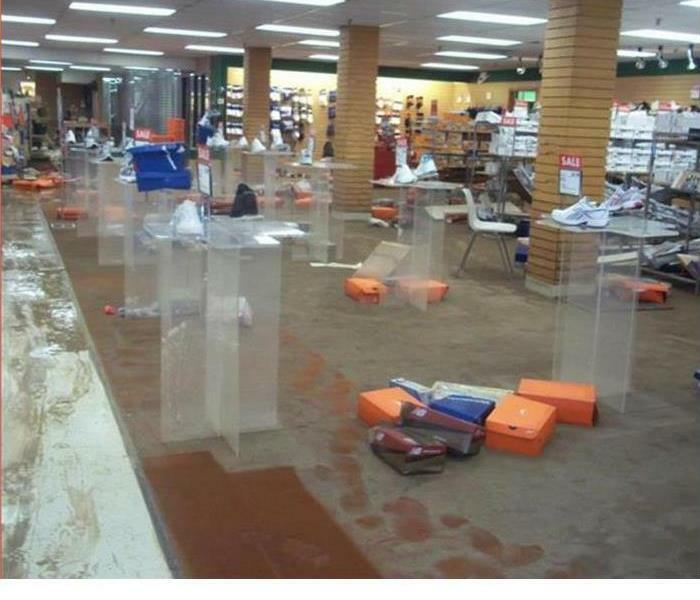 This department store was flooded when a hurricane caused flooding in it area. You can see above that it not only was affected by water but by mud and sand as well. In many cases once an area has been affected my fungal growth the only option is replacement. The SERVPRO technician seen here is in the process of removing contaminated drywall so disinfecting and replacement can begin. 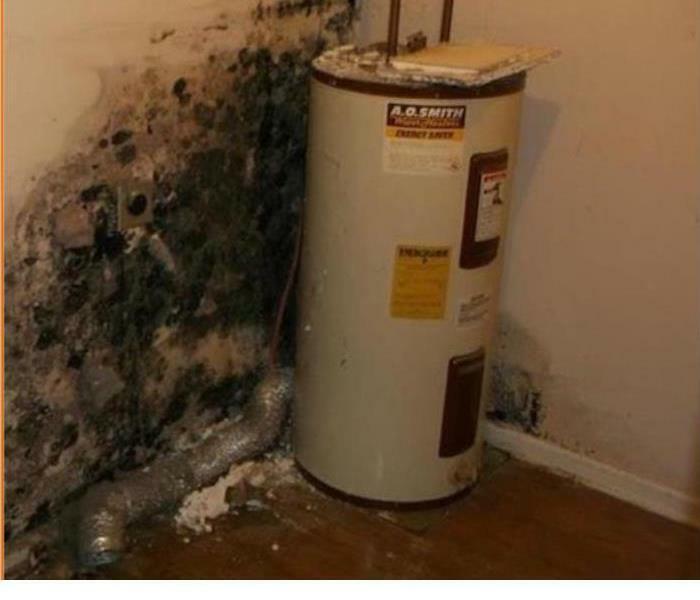 A water loss is a common catalyst for mold growth. The longer a material stays wet the greater the chances of mold growth in an area. The materials around this leaky water heater where left unattended making the issue much worse. 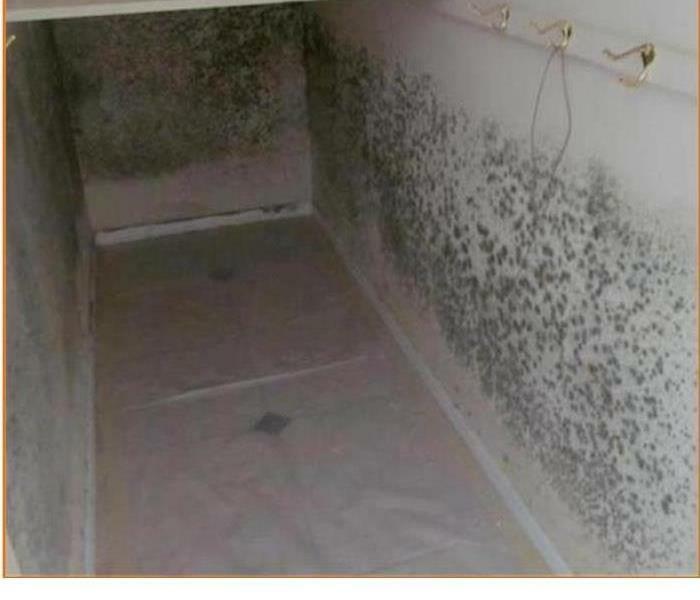 Mold can quickly take over area in your home if given the right environment. The right combination of heat and moisture allows this fungus to spread quickly. If you find mold in your home, SERVPRO has the trained staff to help you remove it. 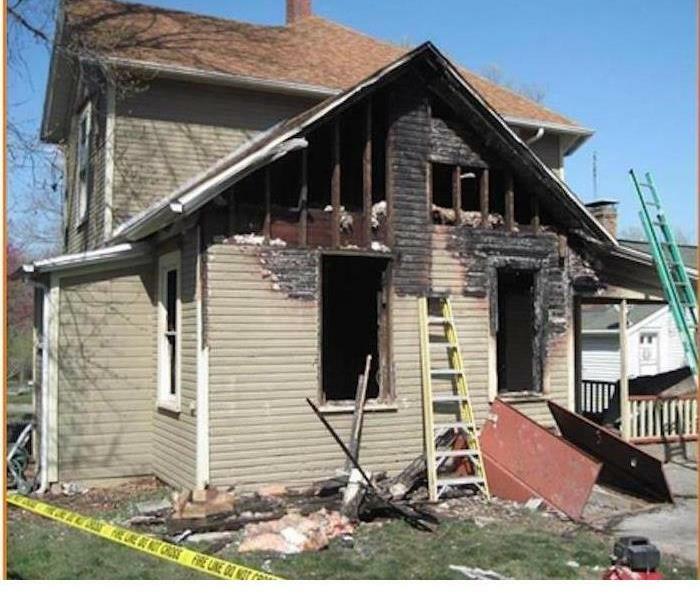 A fire can affect any structure. 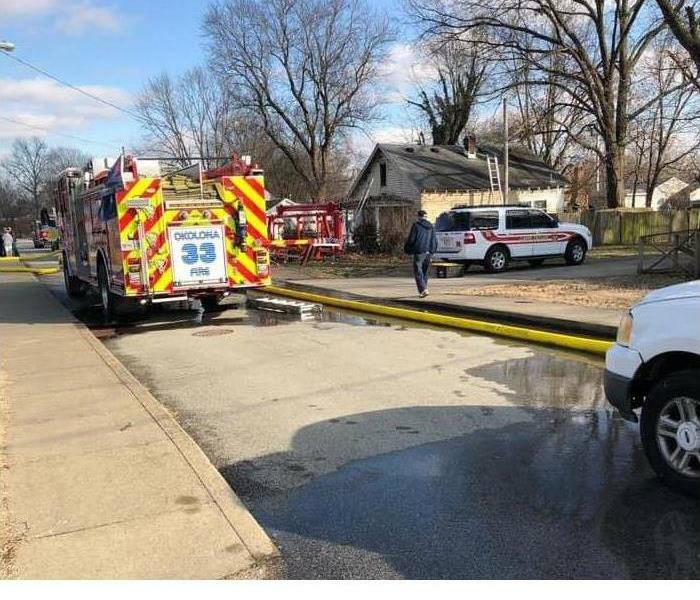 SERVPRO was called to clean up after a fire at beauty shop after an electrical fire. We where able to clean the contents and get them back open for business. 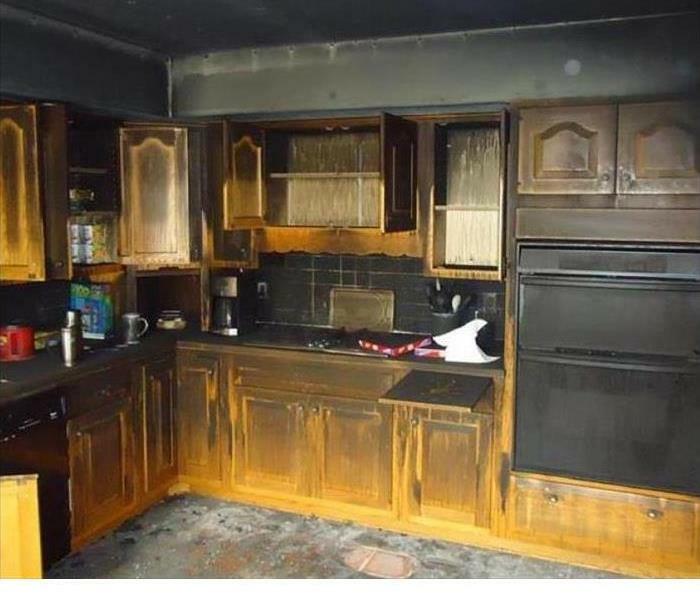 Most residential fires start in the Kitchen. This can cause damage to a variety of items including appliances, cabinets, walls, and ceiling. 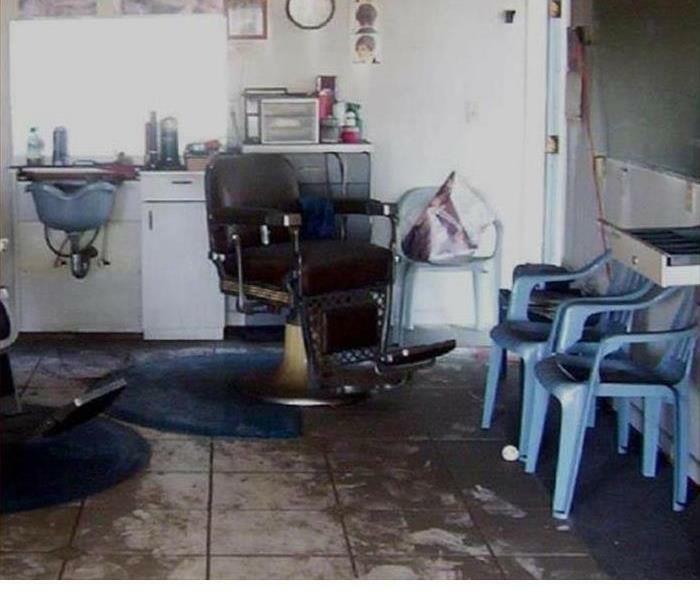 SERVPRO Techs have the training and expertise to restore your kitchen to pre loss condition. In some cases a fire can cause damage that requires more than cleaning services. 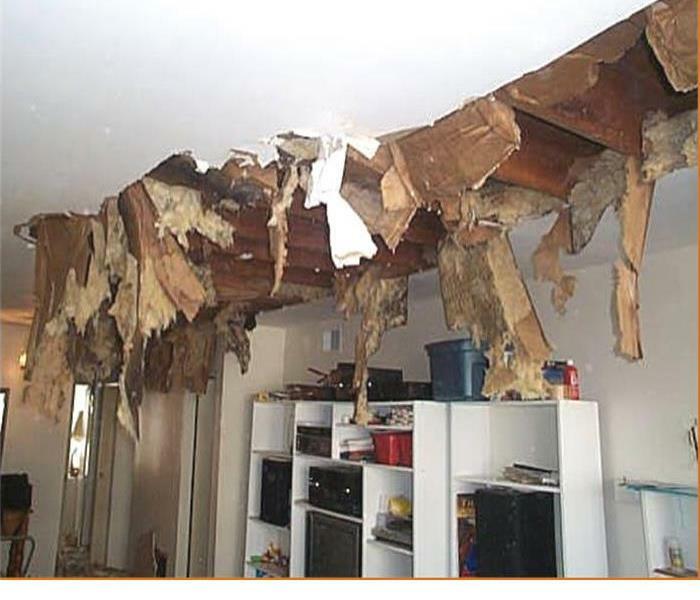 In these instances SERVPRO offers reconstruction services as well. We can help get your home back to the one that you remember. In a Commercial building water can come a number of sources. Busted Pipes, flood waters, or even Fire Sprinklers. Time is crucial especially when hardwood floors are involved. 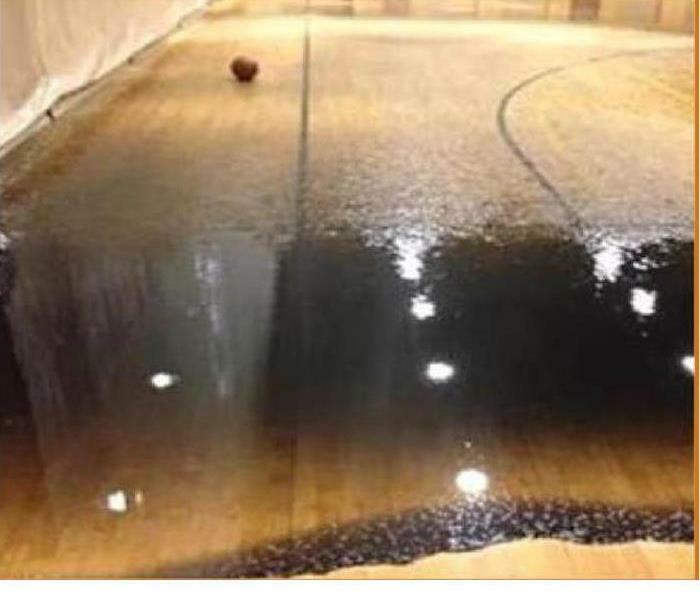 SERVPRO technicians where able to remove the water from this gym floor before it cause permanent damage. Treading in water at work? 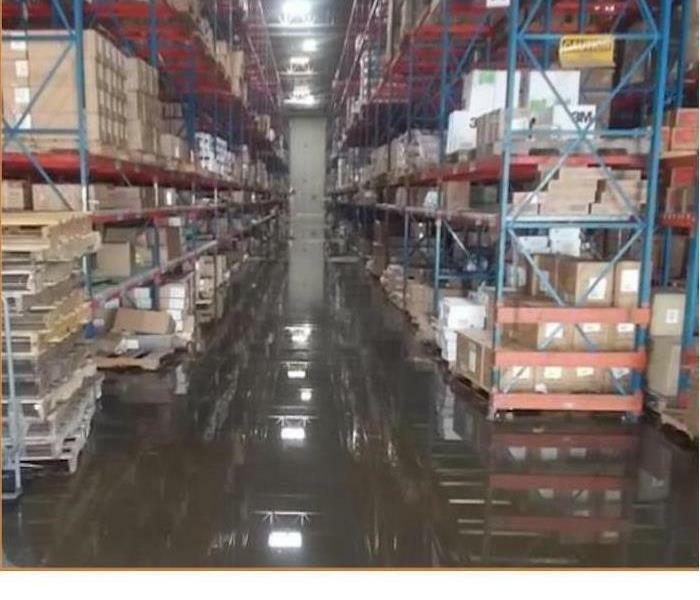 If you find your Warehouse or office in standing water. Give us a call, we can get you back open for business and operating at the high level you expect. Here at SERVPRO we are here to help. 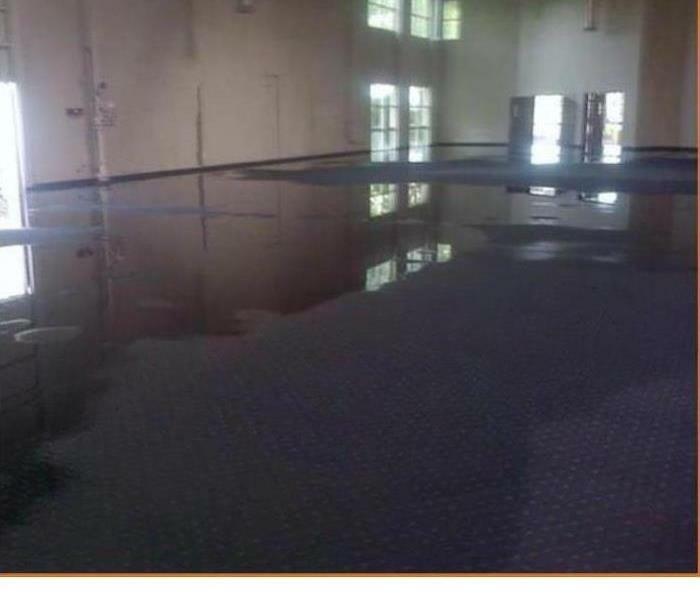 A leaky Toilet caused this Churches sanctuary to flood. 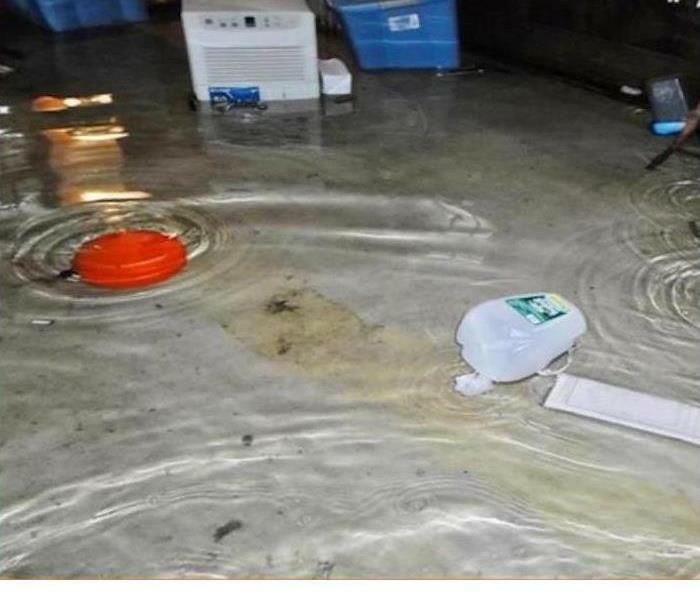 Worried that they would not be able to use the facility they contacted SERVPRO. We dried it and got them back into their space. If your washing machine leaves you with standing in water. Don't Panic the professionals at SERVPRO are here to help. Ready for any size disaster let our people dry your home and get it back to normal. 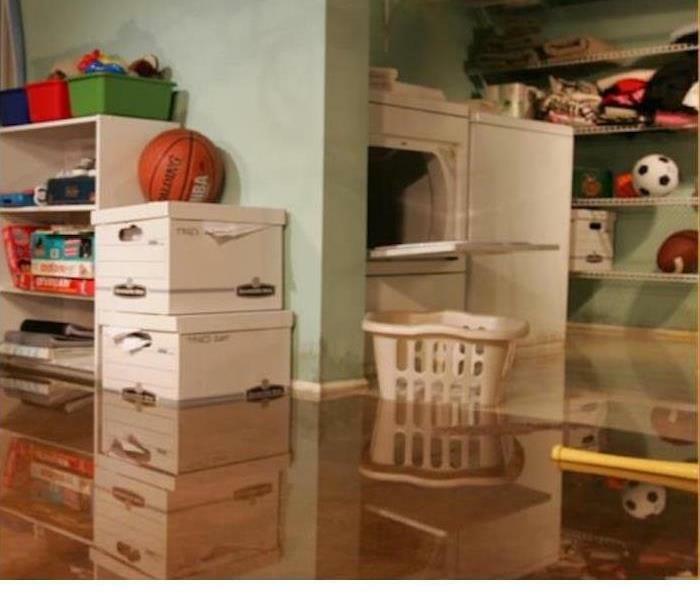 Basement flooding can occur for many reasons. busted pipes, water heaters, flooding from storms and heavy rains, or washing machines can all lead to standing water and sleepless nights. Let the Professionals at SERVPRO ease your Stress. 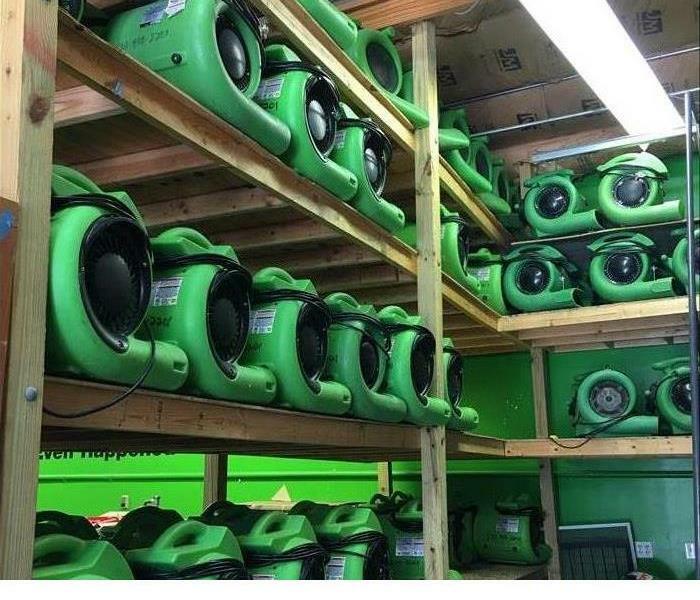 We have a very large amount of air movers for your water damage. This is another photo showing the amount we have. We have another section of shelves just like the one (not pictured). 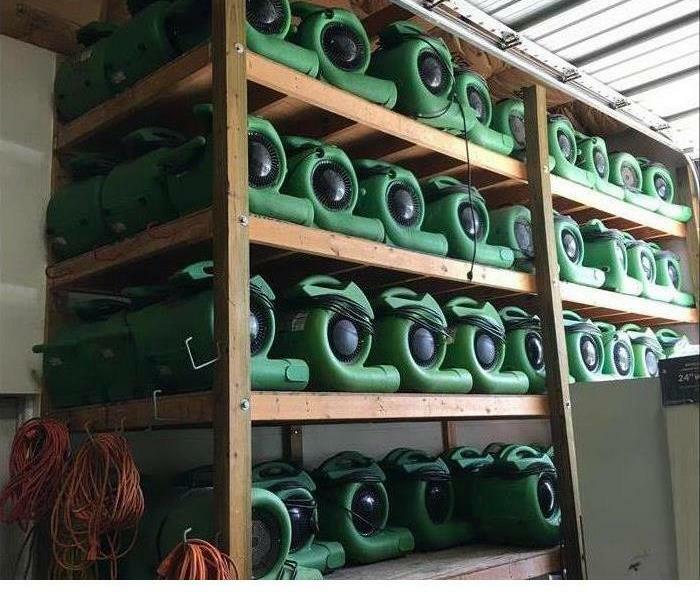 These (along with dehumidifiers) will dry your structure out quickly and efficiently. 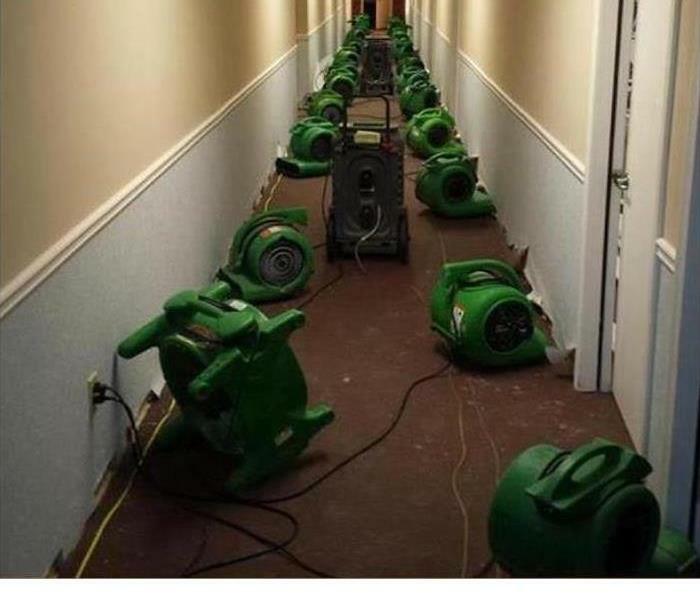 We have a very large amount of air movers for your water damage. This is only one photo. We have another section of shelves just like the one pictured. 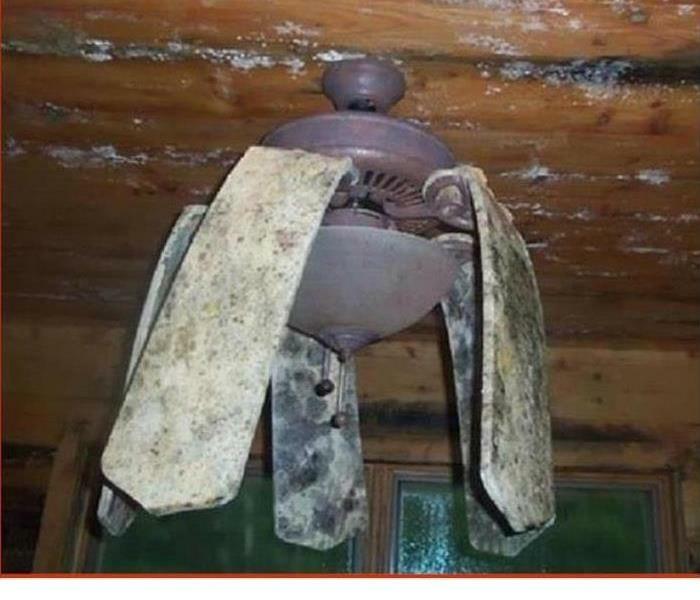 These (along with dehumidifiers) will dry your structure out quickly and efficiently. 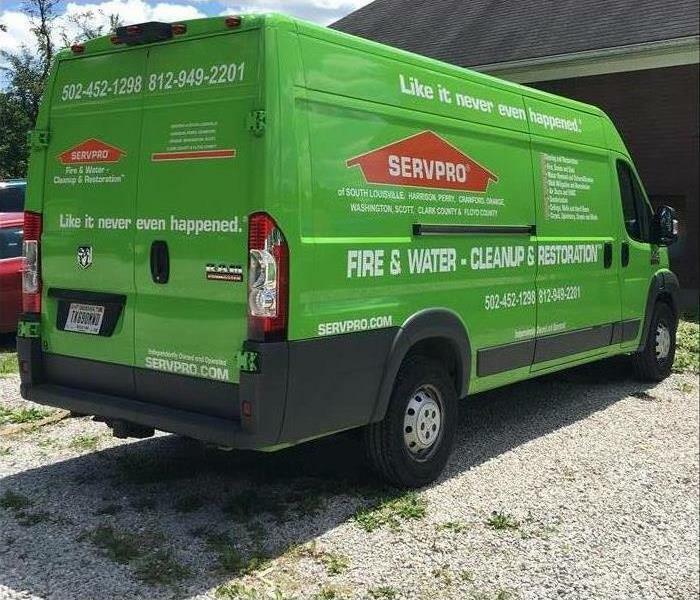 This is one of our newest SERVPRO response vehicles. 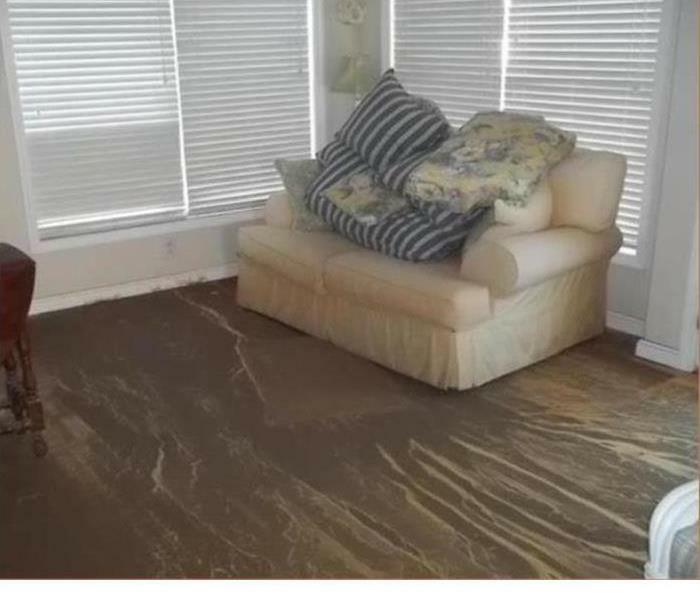 You may see this at your home if you have any type of damage from, fire, mold, water, bio hazard, or any other type of damages that may occur. Here is our office front. If you have any issues, damages, or you need to pay your invoice, you can always stop in if you are passing by, we will be happy to assist you! 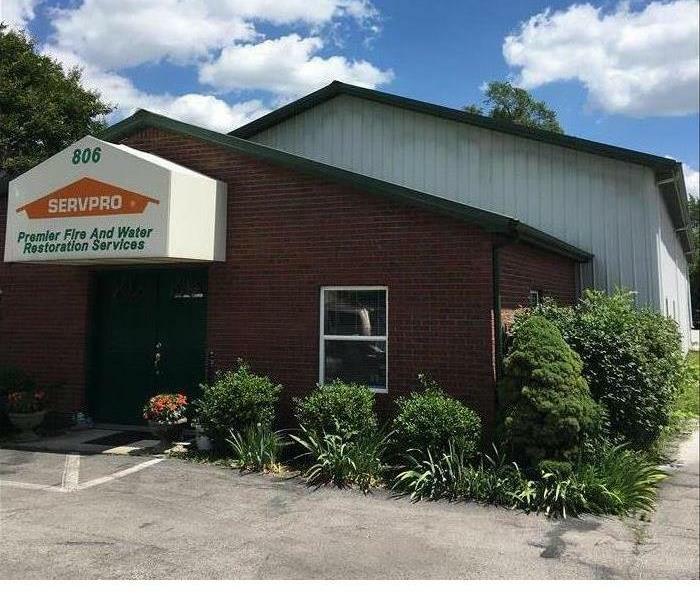 SERVPRO of Floyd County was called out at 3:30AM by a family member of the deceased to clean up a suicide by gun shot. We loaded up and headed there to clean up before their children returned home. Crime scene clean-ups are the hardest thing we do, not physically, but emotionally; but someone has to do it. Let SERVPRO of Floyd County be there for you.